Two Brown Creepers cling to the bottom of an oak tree in Danbury, Conn., Feb. 2016. Here’s the photo again with arrows pointing to the birds. 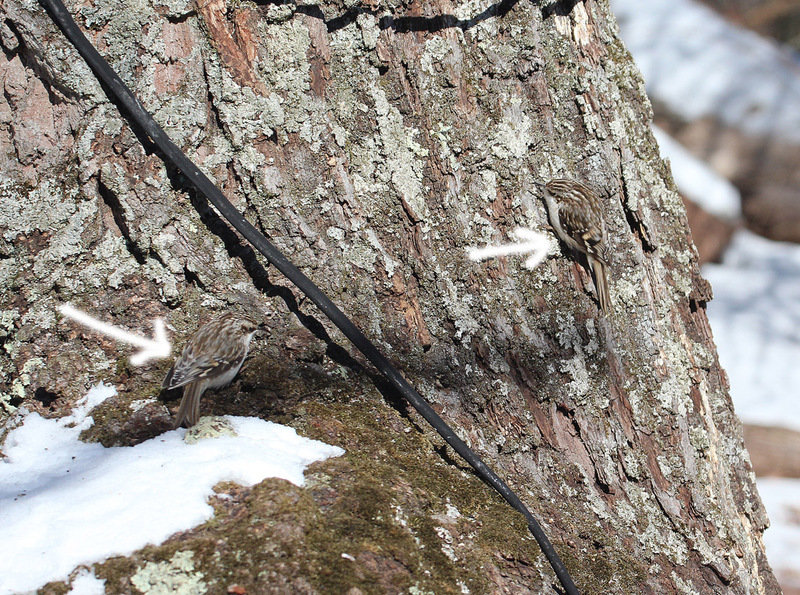 Most of you were able to pick out the two birds and, yes, as many of you also suggested, it is two Brown Creepers. It’s a fairly unusual sight to see one Brown Creeper, but two on the same tree is very unusual. I guess it helps that there was a suet feeder above dropping crumbs onto the base of the tree. It also helped that it was about 0 degrees that day and birds were on the lookout for whatever food they could find. This wasn’t a particularly challenging quiz as the birds stuck out more than usual as their white bellies were exposed. 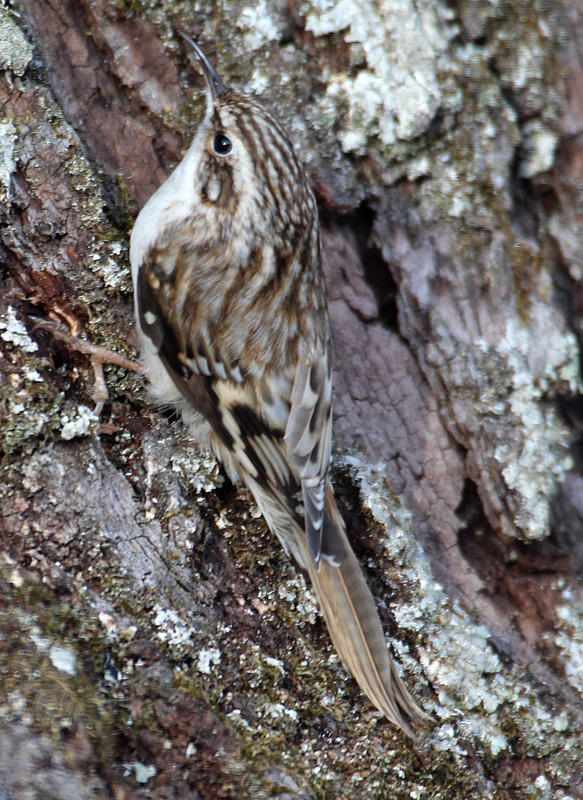 Below is another photo of a Brown Creeper, showing just how well these brown birds blend in with their surroundings. Good camo, for sure. This entry was posted in birding quiz and tagged birding quiz, Brown Creeper by Chris Bosak. Bookmark the permalink.